Despite a slow start to his pre-season, Collingwood midfielder Adam Treloar is loving where he’s at as AFLX and the season proper looms. The boys have had their fair share of hot conditions at training, with this week being no different with Melbourne dishing up 37 degrees on Wednesday. “It's hot … but in terms of training, we save (our big sessions) for Monday and Friday,” Treloar said on Track Talk. A cautious pre-Christmas approach was taken with Treloar as a result of his hamstring troubles throughout 2018, while the upcoming months present exciting prospects. 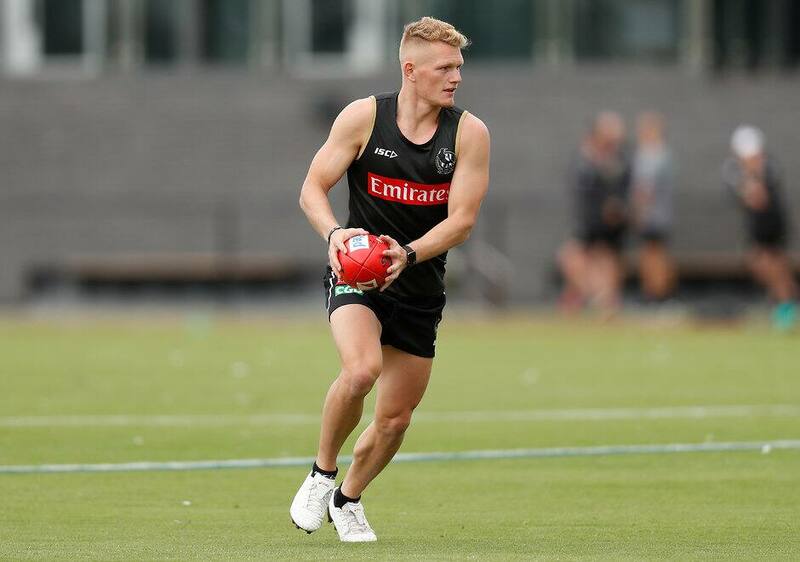 “Pretty slow up until Christmas and then the plan post-Christmas break coming into the second half of pre-season to really attack it,” a determined Treloar explained. “My main goal is to get through all the match simulation and get as much run through my legs, so I can prime myself for when the season starts. TRACK TALK | Bruzzy is feeling fit and Ads is progressing well post Christmas. Watch now.